Door prizes: 5 copies of Frankenstein’s Cat and 5 copies of Gravity’s Engines! In 2010, book publisher Farrar, Straus and Giroux and Scientific American magazine formed a book imprint — Scientific American / Farrar, Straus and Giroux — that draws on the editorial and marketing expertise of both publishers in order to produce general interest science books. 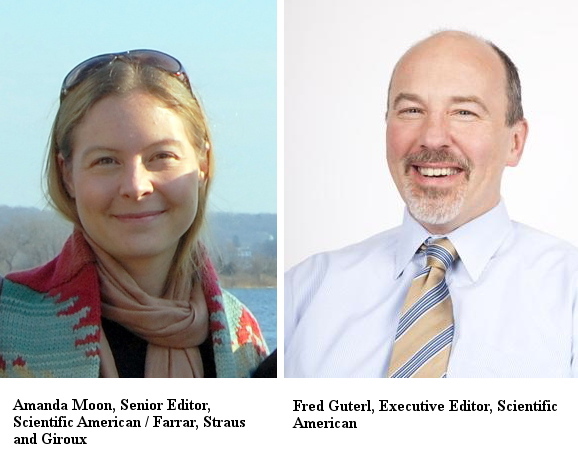 Two publishers who head up this distinguished imprint — Fred Guterl, Executive Editor of Scientific American, and Amanda Moon, Senior Editor at Scientific American / Farrar, Straus and Giroux — will discuss the strategies and trends that drive success in today’s science book market. 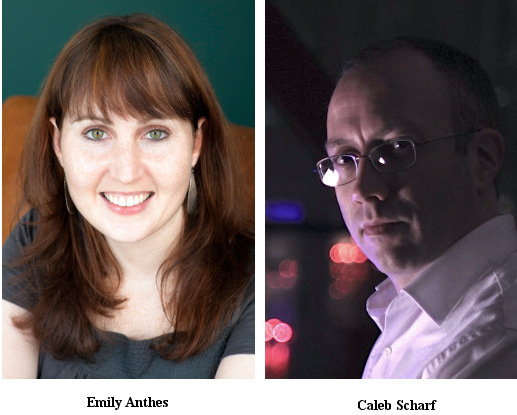 They will be joined by two of the imprint’s authors — Caleb Scharf, author of Gravity’s Engines: How Bubble-Blowing Black Holes Rule Galaxies, Stars, and Life in the Cosmos and The Copernicus Complex, and Emily Anthes, author of Frankenstein’s Cat: Cuddling Up to Biotech’s Brave New Beasts — will share their experiences not only in developing their works but also in promoting and publicizing them. These authors each represent different arenas of the science book world (one being a journalist, and the other, a scientist). strategies and trends that drive success in today’s science book market. This discussion will take place during the kick-off week for North America’s largest publishing event, BookExpo America (BEA) to be held at New York City’s Jacob Javits Convention Center May 29 – June 1. SWINY and EFA members attend at no cost, and nonmembers pay $15.